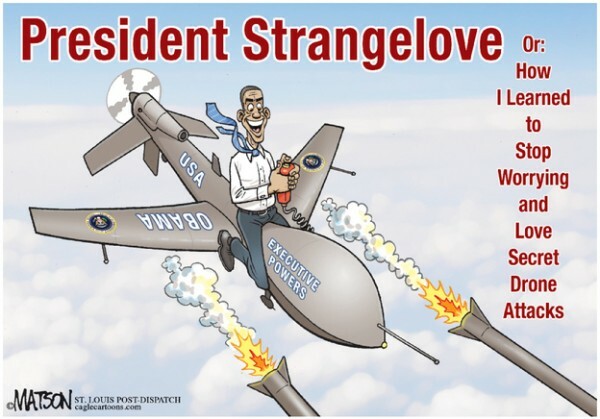 This week, Senator Diane Feinstein is all up in arms about security leaks regarding specific details about secret operations such as those associated with the Bin Laden killing; Obama’s drone “Kill List”; and, the Stuxnet virus that threw Iran’s nuclear program into disarray. On the political right, Senators John McCain and Saxby Chamblis are leading the charge for an investigation. On the left, interestingly enough, it is Senator Dianne Feinstein rarely a leader and usually the follower who is making noise about the leaks. Perhaps the 79-year old Feinstein has forgotten her own breach of national security information. 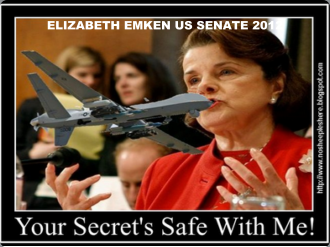 In 2009, she shocked the U.S. intelligence community when she took it upon herself to release to the press the fact that the United States was conducting drone strikes originating out of Pakistan air bases: Dianne Feinstein Leaks Classified Info About Pakistan Drone. Is Senator Feinstein disingenuous? Of course, is she really upset? 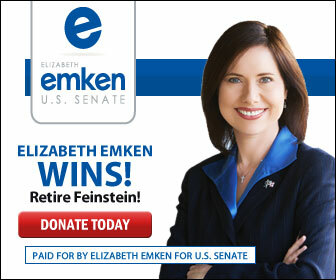 Of course not it’s election time and she has awakened from her slumber holding her ceremonial U.S. Senate seat understanding that Elizabeth Emken, is eminently qualified an must replace her replace her. Elizabeth Emken, the U.S. Senator to trust with America and your children’s future. Diane Feinstein the U.S. Senator to trust with raising taxes, attacking the Second Amendment, and leaking classified secrets. Elizabeth graduated from UCLA in 1984 with degrees in Economics and Political Science. Her studies included course work at Cambridge University, where she focused on political and economic issues in China and the Middle East.